From Todd Foster, President of Foster Energy Services, LLC. 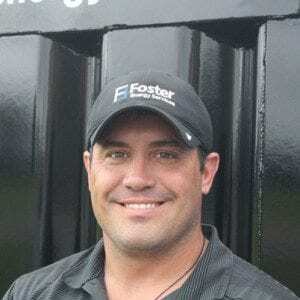 Foster Energy brings knowledgeable, experienced production focused contractors to our customers. Cost-effective production of energy is critical to the success of our customers. Our role is helping energy producers work more efficiently by delivering people with experience in all types of artificial lift technologies and equipment. All of our Lead Flowhands have years of experience. Our “Flowback Contractors” complete a development program that provides advanced experience and continued education in the latest software, technologies and safety programs. Experience and knowledge are the cornerstones of our success. Zero incidents and an excellent safety rating make Foster Energy a premium industry service provider. The cost-effective production of energy is critical to the success of Foster Energy and its customers. Our role is helping energy producers work more efficiently by delivering knowledgeable, experienced people that focus on limiting production losses. We will provide equipment and services that add value to our customers’ operations with an emphasis on quality, integrity and safety. PEOPLE — We continually work to attract, develop and retain the best people in the business. We encourage open communication and always show respect for others. INTEGRITY — We are honest, fair and reliable in our day-to-day interaction with customers and fellow employees. QUALITY — We are accountable for our actions and accept nothing less than total and complete customer satisfaction.